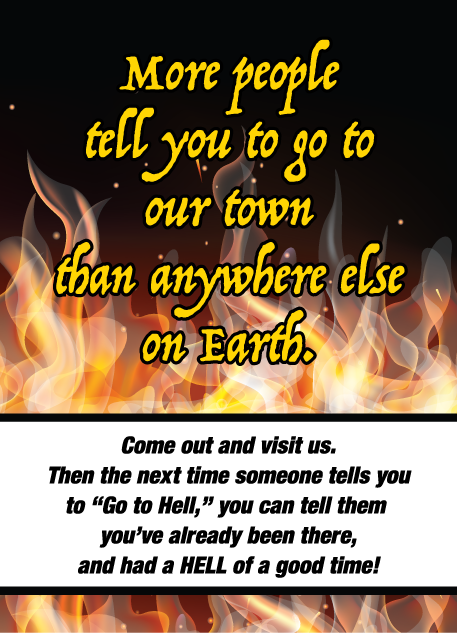 Complete your destination to Hell with one of our hysterical souvenirs! Tell your friends you've been to Hell and back with one of our T-shirts, coffee mugs, shot glasses, beer steins, patches, pins, unique Halloween items, and so much more! ​And for our Veterans and active duty military, we thank you! Enjoy 10% off on everything at Screams, every day. Come enjoy delicious homemade food including pizza, burgers, sandwiches, wraps, salads, and more. Plus, their fresh pasties are to die for! Take a couple home, though calories do burn faster in Hell! have an adventure on Hell's unique Putt-Putt golf course! Handicap accessible. Located in Screams Souvenirs from Hell & Helloween. Click HERE for a FREE game of Putt-Putt Minigolf. Lock your love in on our infamous bridge with other damned lovers and throw away the key in the Hell Creek River! Locks can be purchased in Screams Souvenirs from Hell & Helloween. Call (734) 878-2233 for more information. ​Hell along a beautiful chain of lakes in the Pinckney Recreation Area. After all, a marriage that starts in Hell has no place to go but up! Come enjoy delicious Hershey's ice cream served with fresh made waffle cones! If you devour the Gravedigger Sundae, we assume no responsibility for your demise, but we will sign, seal, and singe your Death Certificate! ​Hell Saloon. Plus live music, special events, and sinfully awesome food! Become an official property owner of Hell, Michigan. Yes, you can buy your own square inch of Hell and become part of the elite group of individuals known as the Hell Landowner's Society. Give the unique gift of Hell to surprise that hard-to-shop-for person on your list! ​freezes over, but people do have the opportunity to serve as mayor for a day. This unique honor makes a fun gift! Click here to reserve your day as Mayor of Hell! Hell is home to the prestigious Damnation University. This institution of higher learning awards over 100 different types of degrees. Come receive your Dam U Diploma at Screams Souvenirs from Hell & Helloween. 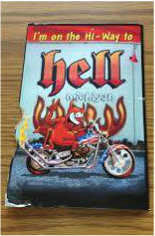 Send your friends or family a postcard from our Official Hell Post Office inside Hell Hole Diner or send them out from inside Screams Souvenirs from Hell & Helloween. Hell is a little town on it's way up. We hope you will make Hell your next travel destination. 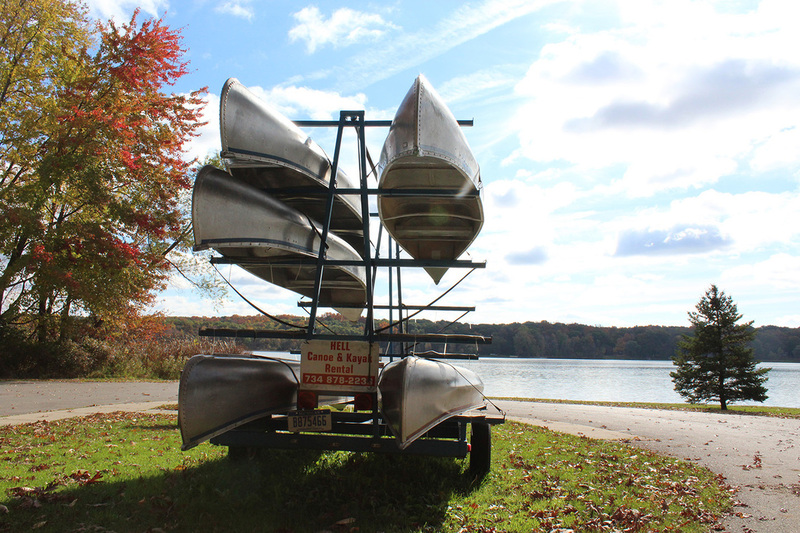 We are surrounded by 400 acres of beautiful campgrounds, biking and hiking trails, a chain of lakes and channels, recreational areas for picnics, and so much more! We back up to the Potawatomi trail, and to the beautiful Pinckney Recreation Area. Bring your family for a little bit of Hell on Earth.